Astigmatism degrades a person’s vision at all distances. While astigmatism can be corrected by glasses and contact lenses, traditional intraocular lenses placed during cataract surgery do not correct astigmatism. For patients with astigmatism who are having cataract surgery, Toric lenses provide an exciting opportunity. 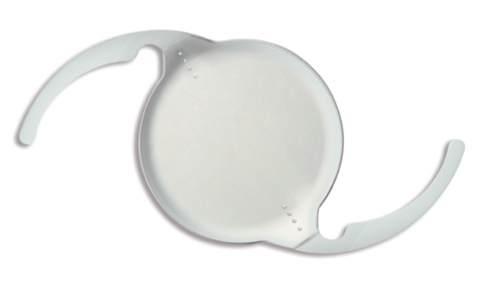 These intraocular lenses have astigmatism correction, so patients will see clearer without glasses than with traditional lens implants. Toric lenses do not correct both distance and near vision. For those patients with a distance vision goal, reading glasses will still be needed to see close objects. Alternatively, for those patients electing a near vision goal, distance glasses will still be needed. At your cataract consultation, your surgeon can discuss whether you are a good candidate for astigmatism correction with these lenses.